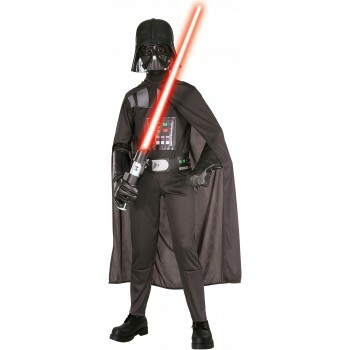 This costume is sure to please even the biggest Star Wars fan! Your little one will love this costume for their next dress up party or school event! Does not include lightsaber, gloves, or shoes. Material: polyester, polyurethane foam (exclusive of decoration), plastic (mask). Very happy with my order. It arrived really quickly, and the costume was good quality. My son will no doubt have fun at his school book week parade, thank you.